Your engine oil serves several critical roles in your engine's operation. Your engine oil provides a protective barrier between moving parts, to prevent unnecessary wear and tear. It cleans sludge and dirt deposits from internal engine parts, carrying it all to the oil filter where it can be removed from the engine. Your engine oil also removes excess heat from the engine. In fact, your engine oil performs up to 40 percent of your engine cooling. Over time and after driving your car for several thousand miles, your engine oil deteriorates. It can no longer lubricate moving metal parts as well as it once did, as it discolors into dark brown or black. Dirty engine oil can't perform the required cooling action as well as new oil, so your engine temperature can start to climb higher than normal. It's also common for your engine to lose some oil between oil changes, from either normal amounts of oil consumption or by minor seepage past seals. Your engine oil may be lower than normal by the time you near your oil change service interval. By performing regular oil change services according to your vehicle's maintenance schedule and the type of oil you are using, you can prevent harmful deposits from forming in your engine. You can keep your engine running cool, while preventing wear and tear on components by keeping everything well lubricated. At Babcock Auto Care, you'll not only receive the best customer care possible, but you'll get honest, reliable oil change services from a highly trained staff. Our technicians are ASE-Certified and experienced in vehicle maintenance and repair of all kinds, including oil change services. 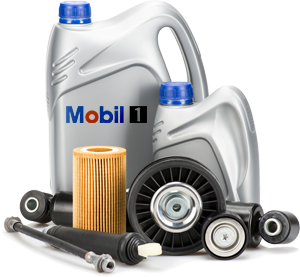 We know precisely the right grade of oil and the correct filter to install on your vehicle, whether you drive a heavy-duty truck, a high-performance sports car, or a high-mileage commuter car. With every oil change service, our technician will perform a digital courtesy inspection to identify potential problems that require attention. We will always discuss the results with you in detail and keep the inspection on file, so you'll know exactly what to expect upon future services. 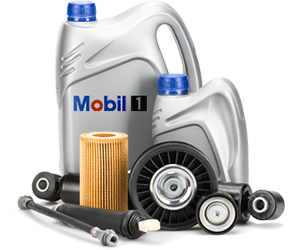 For your engine's protection, we use Mobil oil and high-quality filters for oil change services at Babcock Auto Care.